It is hard not to take my (Perry Jameson) personal experiences and apply them to my work as a veterinarian. One of the most difficult times in my life was when my mom was diagnosed with metastatic renal cell carcinoma. She was a healthy woman in her 50s who was still teaching third-graders and playing tennis. Mom developed a mild persistent cough and soreness in her hip. At first, they thought she had bronchitis and pulled a muscle playing tennis. When her symptoms did not resolve as expected, the doctors started looking further and, unfortunately, found she had a kidney tumor that had spread to her hip bones, lungs and spine. At the time there was no effective therapy for this cancer and she progressively worsened over the next eight months. I would drive home every other weekend to help my sister and Dad, who were caring for her. As we struggled with her end-of-life care, I kept asking myself that certainly we were not the first family to face this and there must be someone out there to guide us. Finally when her oncologist realized she was going to die soon, he recommended we get in touch with hospice. They came in and immediately were able to make her more comfortable and teach us how to do the same. Unfortunately, this was only during the final two weeks of her life. In my practice, we deal weekly with patients who have cancer, heart failure, renal failure and other terminal illnesses. We do our best to help guide pets and their parents through this end-of-life stage. Last year, the American Animal Hospital Association, along with the International Association for Animal Hospice and Palliative Care, released guidelines to help veterinarians with end-of-life care for pets. These guidelines were a collaboration of ideas and experiences from multiple university and private practice hospitals. As with my experience with my mom, it was a realization that we were not the only animal hospital dealing with this and we could learn from others how to help with this stage of a pet’s life. 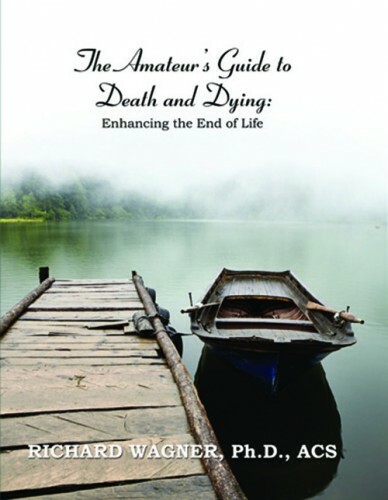 Their first focus was to recognize that the end of life is, in fact, a stage of life. Just as juvenile, adult and senior are recognized stages, so is this final life stage. The importance of this is by recognizing earlier when a pet reaches this stage we can institute animal hospice sooner. 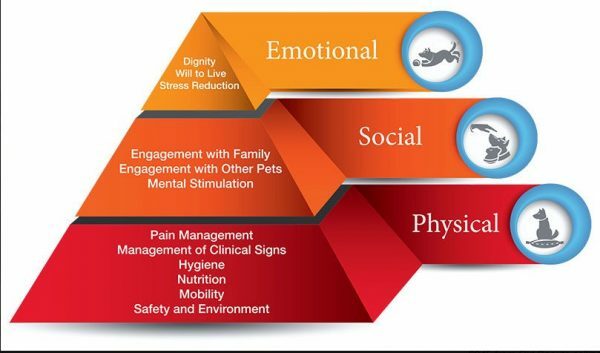 The authors developed the Animal Hospice Care Pyramid (http://bit.ly/2lwl55K) to display the different needs of a pet during the final stage of life. At the base are the physical needs of the patient. The middle section stresses the social needs, while the top emphasizes the emotional needs. All three areas must be considered when trying to bring quality to the end of a pet’s life. The physical needs always seem obvious, but it is good to have a list to make sure we do not miss anything that may help them be more comfortable. These needs are pain management, control of any clinical signs (e.g. nausea), hygiene, nutrition, mobility and providing a safe environment. Pets are social; they want to be around other family members, especially when they are not feeling well. This portion of the pyramid reminds us to ensure the pet is able to interact with its family, including other pets, and has some form of mental stimulation. When our Lab, Ariel, was near the end of her life and had difficulty walking, we put her bed in the middle of the den. This way she could watch all that was going on and we could easily interact with her. The top of the pyramid stresses the importance of the pet’s emotional well-being. 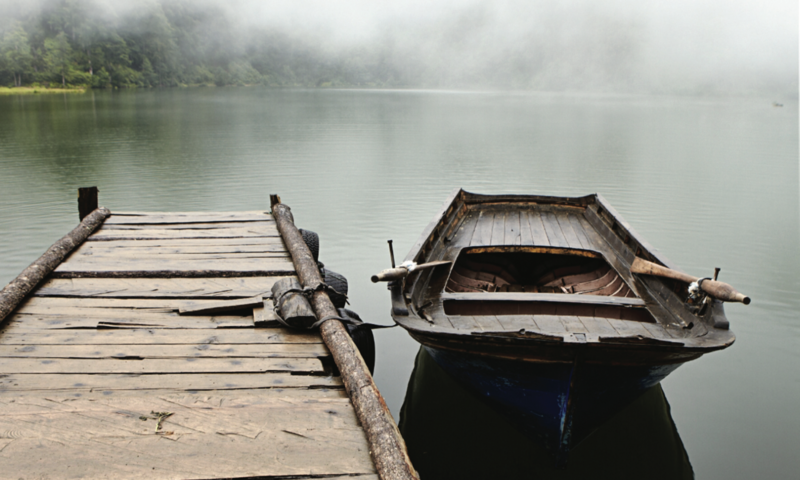 By supporting the social and physical needs most of their emotional needs will be met. Preserve their dignity by minimizing and cleaning up any house soiling as soon as possible. Pets are most comfortable with the same routine, so by keeping the same patterns you did before their illness, you will reduce their stress. Most pets are there to be our companion, so by keeping them as part of the family, you will encourage their will to live. This guide also helps with when we make a decision about ending our pet’s life. If we can no longer meet their physical needs (comfort, they stop eating), and they withdraw from the family, then they are no longer enjoying life. The goal is to make this final stage of our pet’s life the best it can be, but to also aid us when to say goodbye. Our pets do not live as long as we do so everyone pet parent will need these guidelines sooner or later.